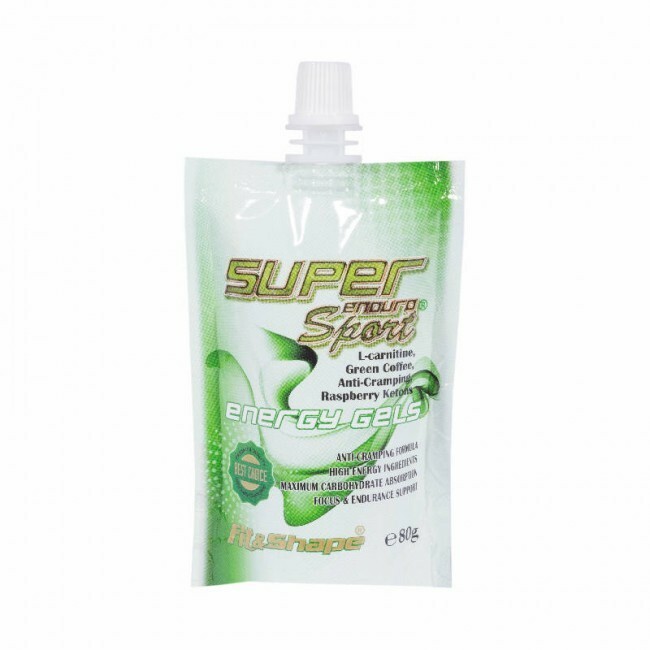 Super Energy Gel is a product for energy recovery in various sports and endurance exercise. It contains extremely potent herbal extracts, vitamins, amino acids, raspberry ketones and caffeine. 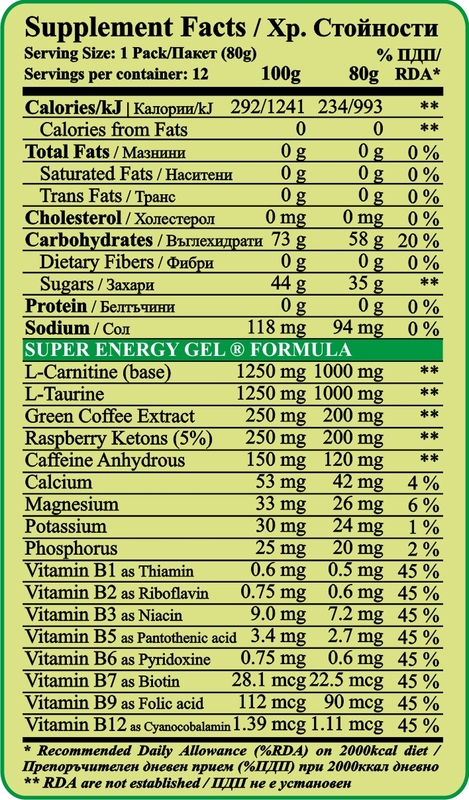 With this Energy Gel will keep the level of glycogen in muscles high and significantly improve your workout.